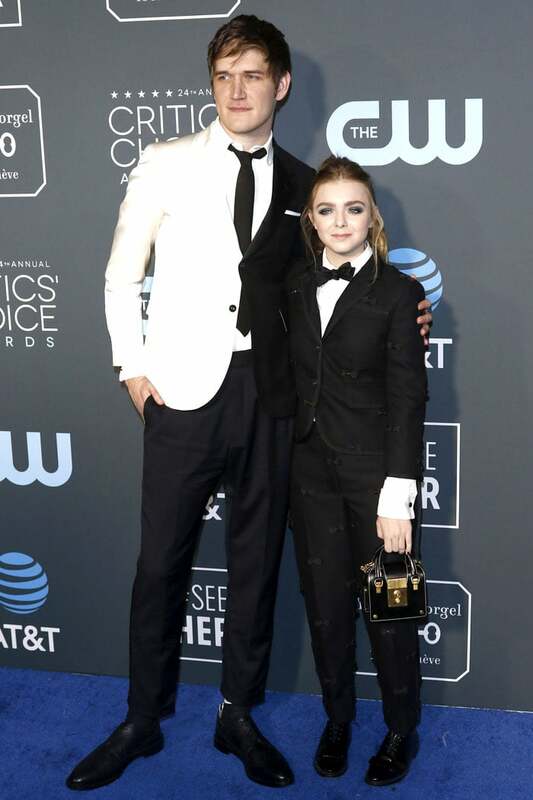 15-year-old Elsie Fisher not only beat out other actors for the Best Young Actress award but also out-styled many of the adult attendees at the 2019 Critics’ Choice Awards. 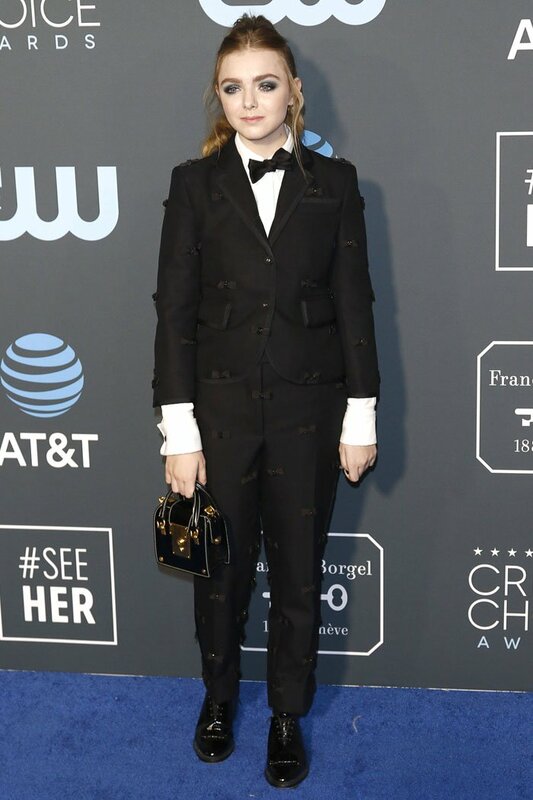 Instead of the typical gown and heels, the breakout star of “Eighth Grade” had fun with a Thom Browne Pre-Fall 2019 bow-embellished suit paired with bow oxford shoes and an adorable ‘Mrs. Thom’ bag. 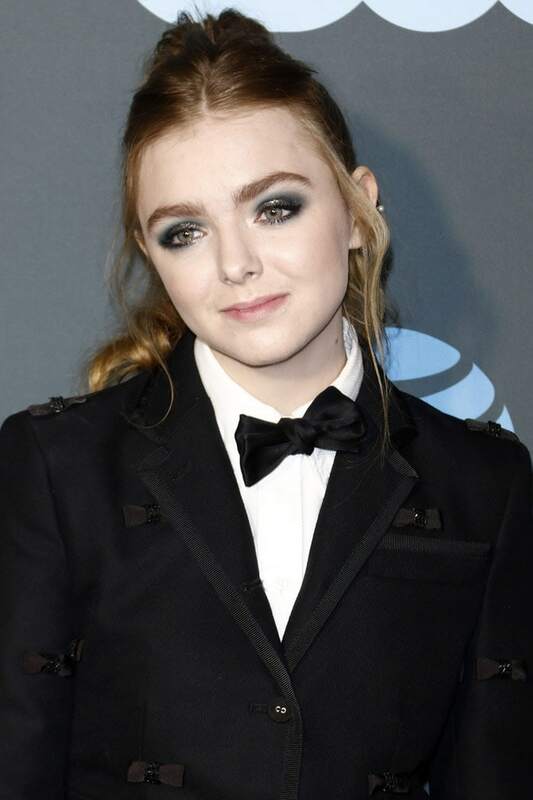 The teen actress was joined on the blue carpet by “Eighth Grade” film director, Bo Burnham, who looked like he also had some fashion fun himself in a half-white-satin and half-black suit jacket. Elsie wore her strawberry-blonde hair in a messy ponytail that complemented her age-appropriate look. 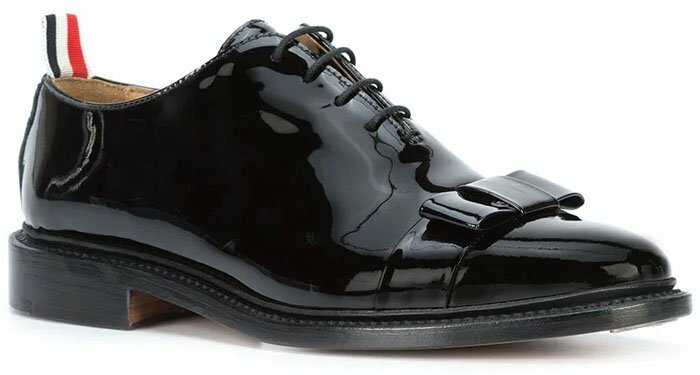 We love that the all-over bow embellishments continue to the toes of Elsie’s black patent-leather oxfords. 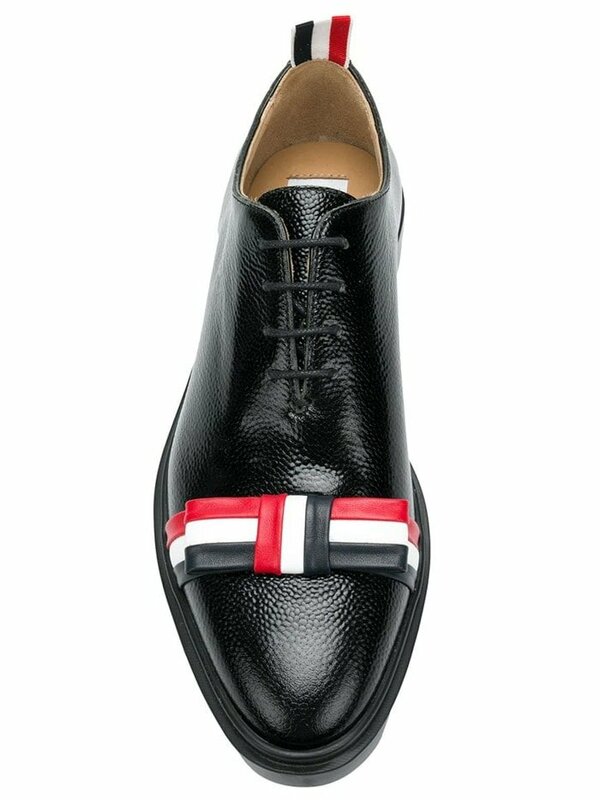 The Thom Browne bow oxford shoes also come with tricolor-striped bows on the toes. 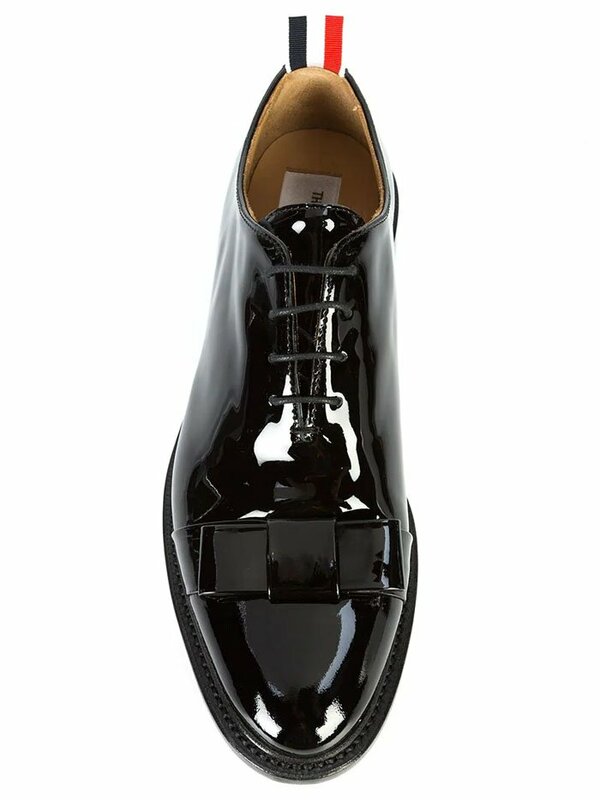 Elsie has also worn this variation to the 10th Governors Awards last November. 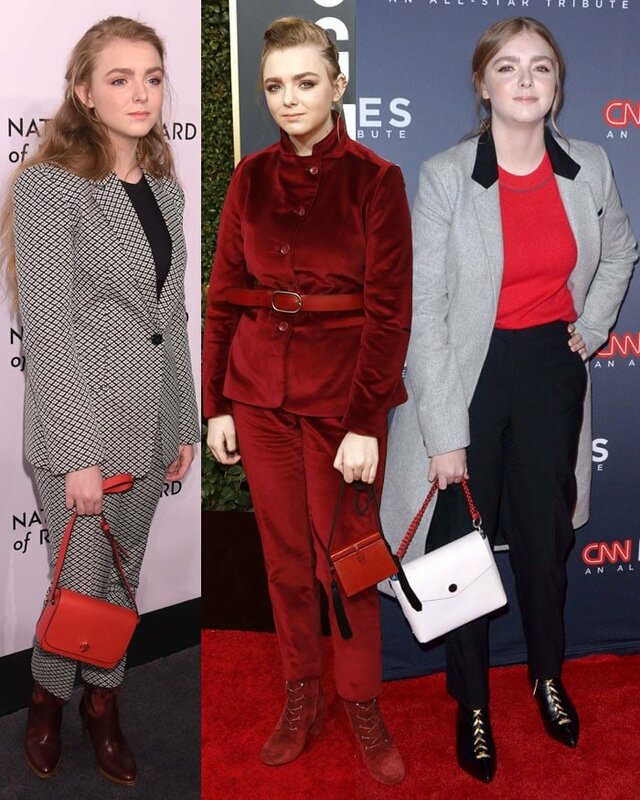 Elsie has been on a suit streak this entire awards season. 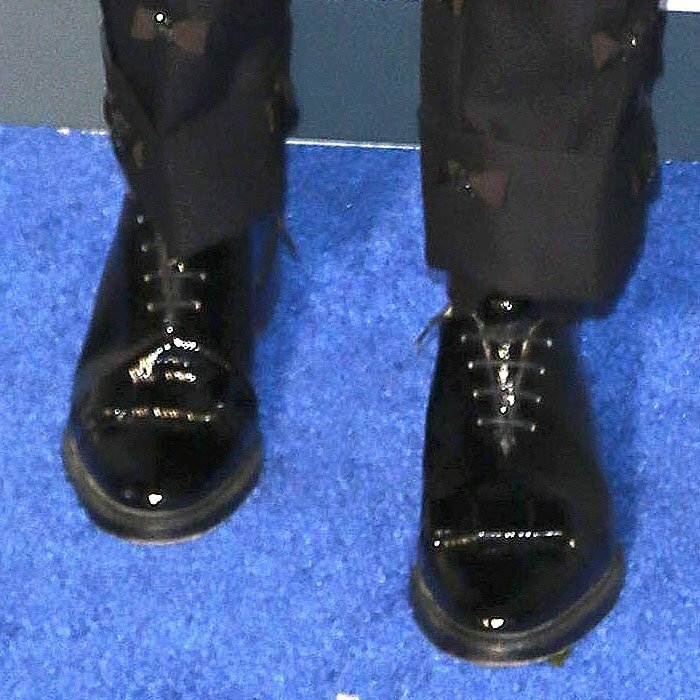 While she has had some hits and misses, we think she’s finally hit her stride with the bow suit at the 2019 Critics’ Choice Awards.